Opioid addiction, alcoholism, prescription pills. In all areas of society addiction is rampant! That’s why Adult & Teen Challenge is working to create resources, training and accreditation for our centers in all 50 states. We’re striving to make a difference – one life at a time. But we need your support. When you give, students will hear the gospel and have the opportunity for a new life – drug free! You are changing the future! One-time gifts help us provide hope and resources to hurting people with life-controlling addictions. Monthly donations are the backbone of our organization. These gifts make it possible for continued resources for students and staff across the country. Gifts given in honor or memory of someone are a wonderful way to recognize the life of an individual by investing in the future of others. We will send a card to the recipient of your choice acknowledging your gift. One way that you can help the individuals in our program is to donate a vehicle, despite its condition. We make it very easy to donate a vehicle. Just follow the instructions on our vehicle donation page. You can donate publicly traded stock, securities or other appreciated assets. If you have questions about a gift of stock or any other type of asset-based gift, please contact us at 417-581-2181 or info@teenchallengeusa.org. Our programs would not be as successful without the support of local communities. You don’t have to donate money to be a blessing to our ministry. Consider giving the gift of your time. The Evangelical Council for Financial Accountability was founded to set a standard for financial accountability in ministries. 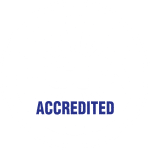 They developed a set of seven standards that members must follow to be accredited and display the ECFA seal. The seven Standards of Responsible Stewardship deal with doctrinal issues, governance, financial oversight, legal compliance, transparency, compensation, and stewardship.